The ovarian artery is a DIRECT branch off of the aorta (inferior to the renal artery). Anatomical location/path of the ovarian artery (source). It travels through the suspensory ligament of the ovary (infundibulopelvic ligament). This vessel provides the ovary with oxygenated blood, and also gives collateral circulation to other structures (such as the uterus). 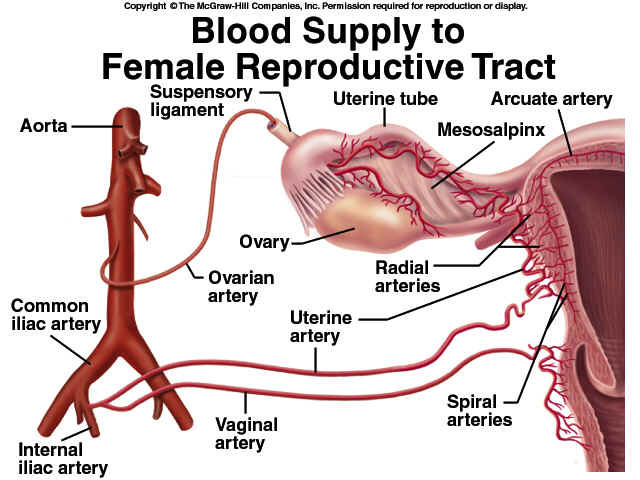 During an oophorectomy this artery must be ligated to prevent heavy bleeding.